We had lots of good soups for lunch; chili, Joe's famous bean soup, chicken & noodle, Swedish meatballs and a couple others. We had some snack trays and crackers to complete the feast. We had a brief meeting with a few stories to entertain us before we took care of the food and got back to flying. 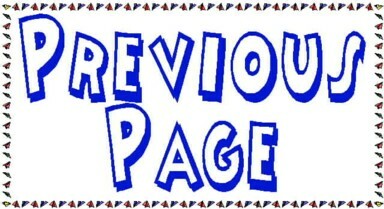 Following the photos is a list of first for the first. John and Luke Louden with their electrified Nifty 50 on floats. The Nifty 50 coming in for the first float landing, very nice. 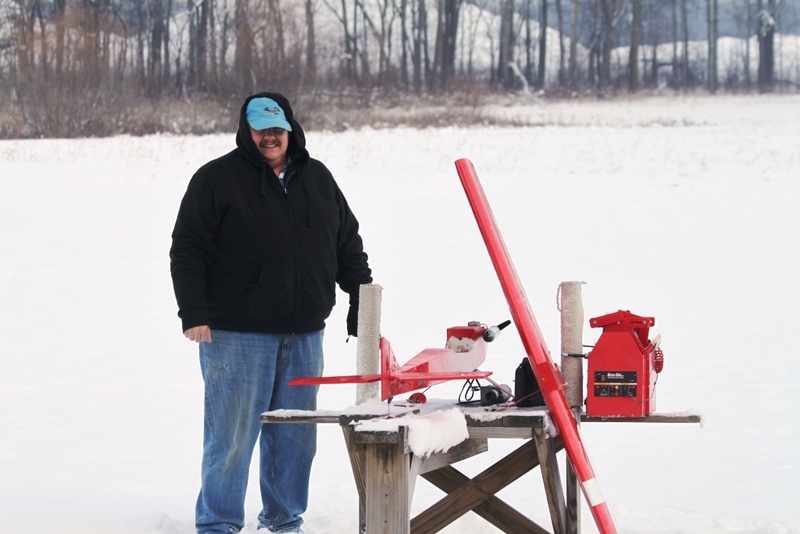 Don Schmedake with one of his planes getting ready to test the snow. 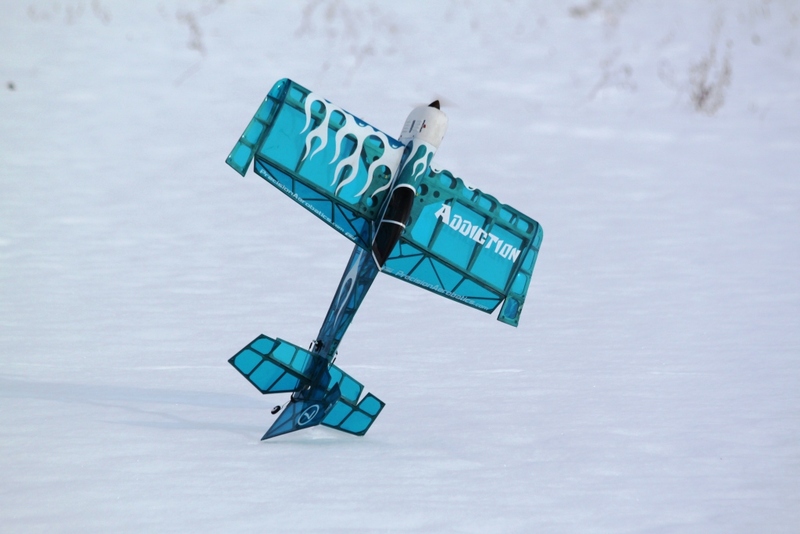 Jay Thomas's flat foam Yak 55 after the first foamy flight of the new year. Landed a little high. Rege's F-22 turning and burning, well, turning anyway. 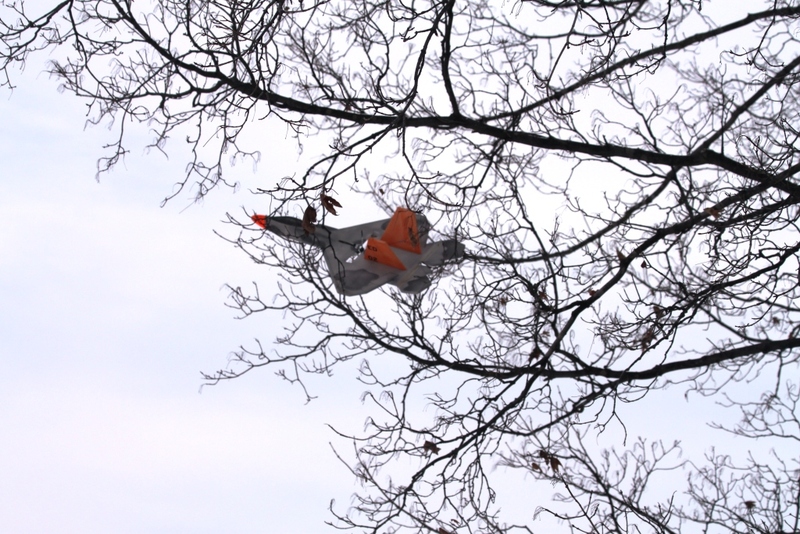 I'd like to say this was a shot of the F-22 just clearing the trees, but honestly can't. 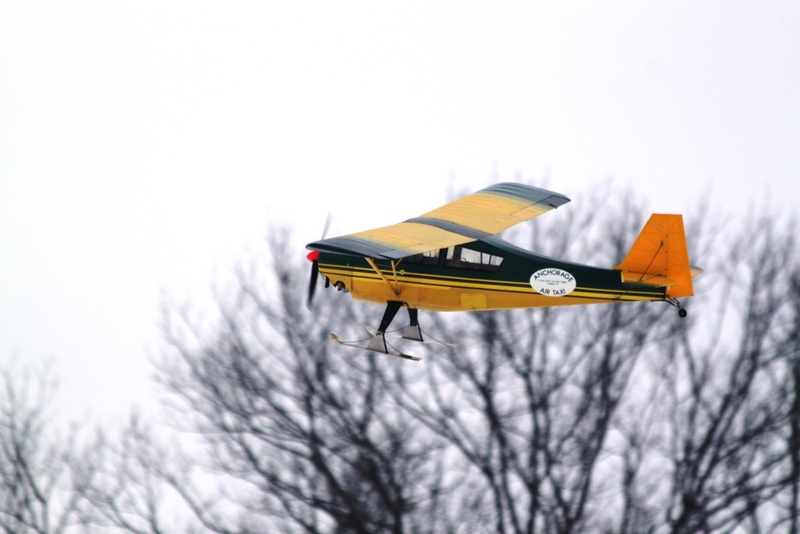 Father son team of Tom L. and Tom E. Hatfield giving flats on their E-Flight Super Cub a try for the first time. 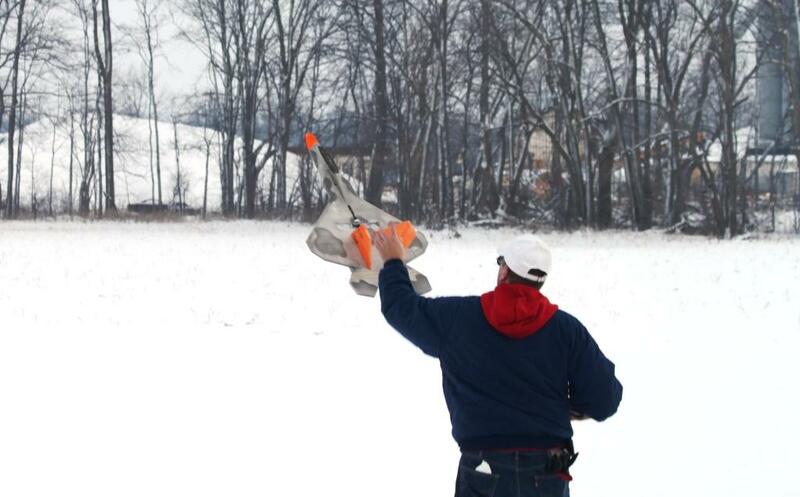 Dave Miller launching his flat Raven into the January 1st skies. Bright color showed up well against the snow background. 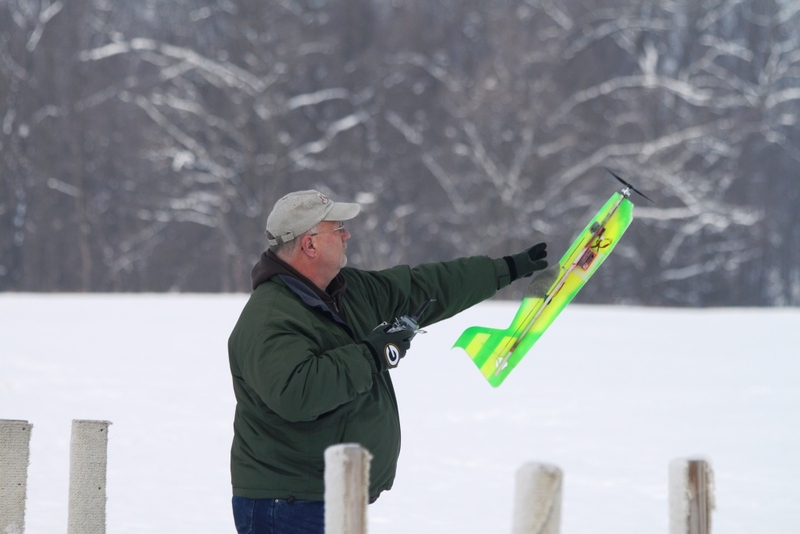 Roger Dohm plugging in the battery on his ski equipped trainer. 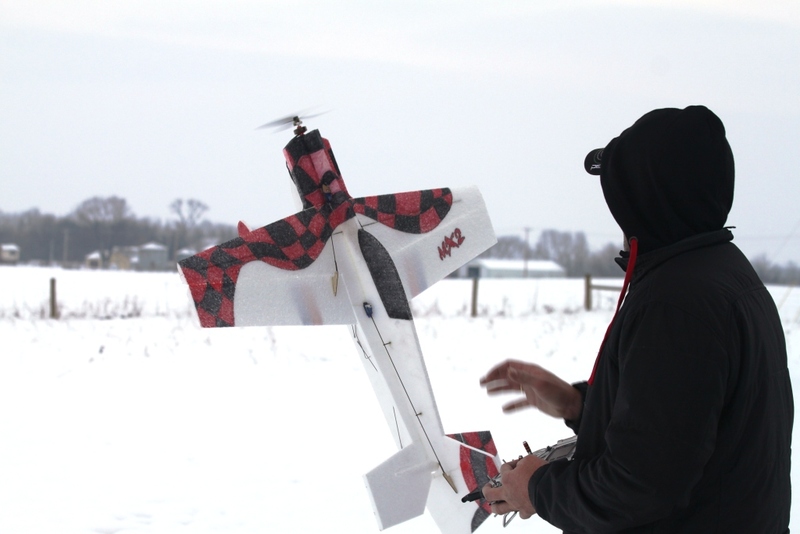 Tom Carlyle launching his micro Corsair for a flight, flew well. Matt Shelton doing the first tail touch (intentional, that is) of the new year. 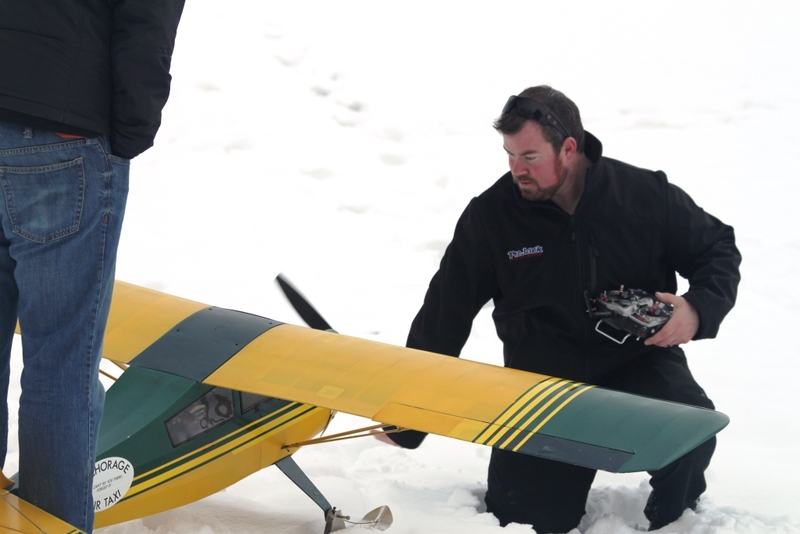 Roger making the first walk of shame to retrieve an plane that has not made it back to the pit un-assisted. May have been the first, but certainly was not the last. Matt Shelton getting in a little close with his Addiction. 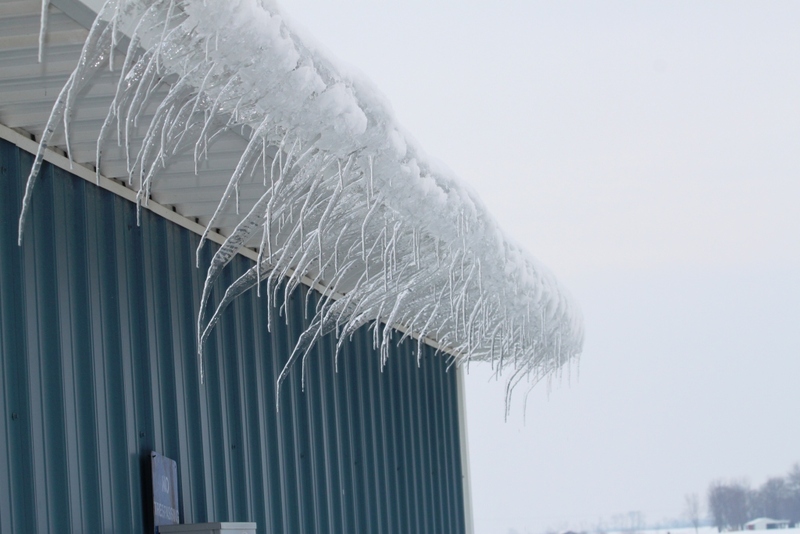 What strange icicles we have! Joe Miller's foam PBY Catalina. 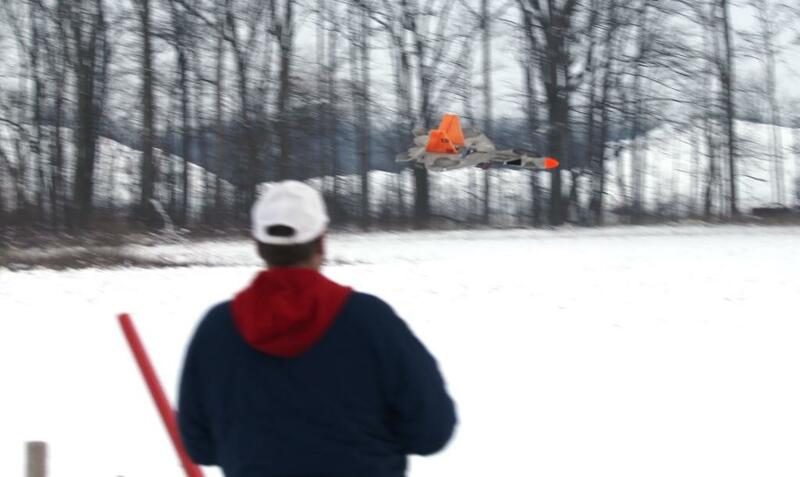 Ray Courtney moving his Fancy Foam MX-2 in close for a landing. 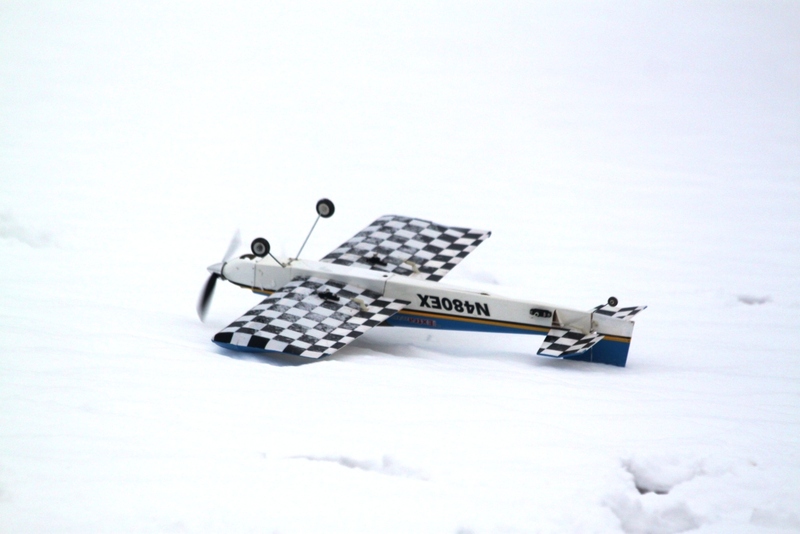 Blake McBee flying electric Extra 300, dragging the tail in the deep snow. Parker Hall flying John's micro MCX Quad Copter. 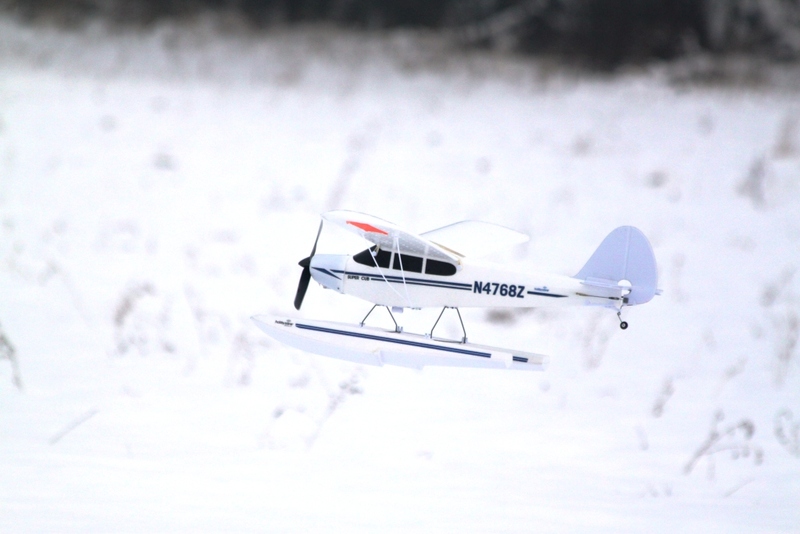 Bill Clontz's Advance 25E after a landing with slightly under sized skies. Henry Deveenney and Bill with Henry's flat Raven. 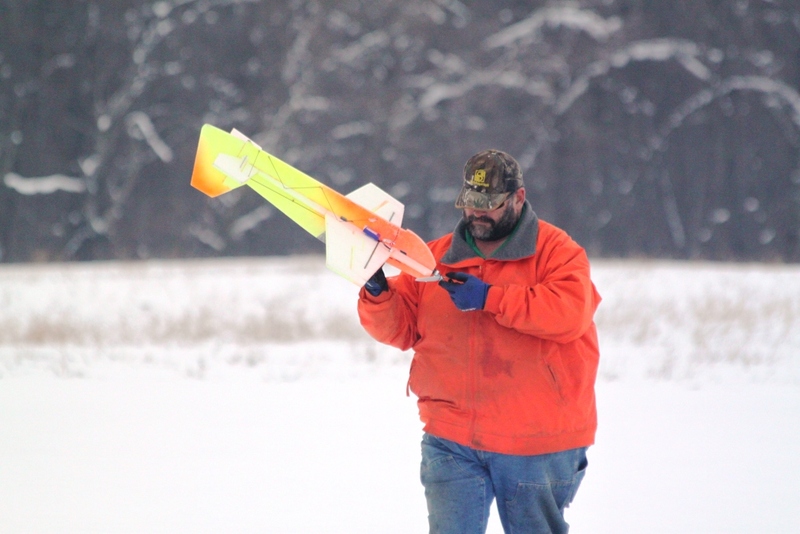 Curtis Prater about to get a flight in with his Fancy Foam MX-2. Follow up to the earlier picture of Blake's inverted tail drag in the snow. 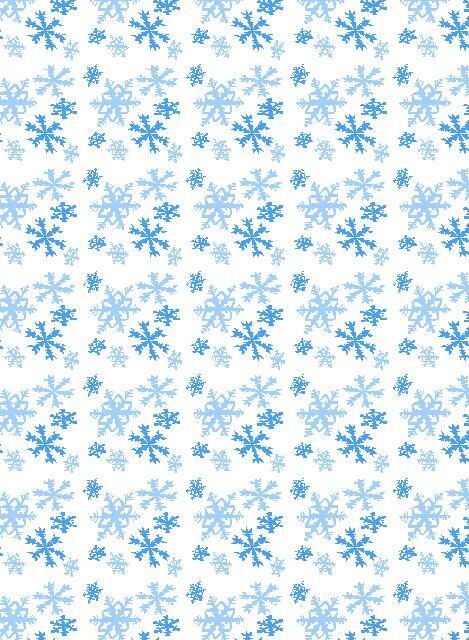 Look close, Blake's Extra is there in the flurry of snow. Rick Gilmore's flat Yak 55, it shows up well in the dreary and white backgroun. 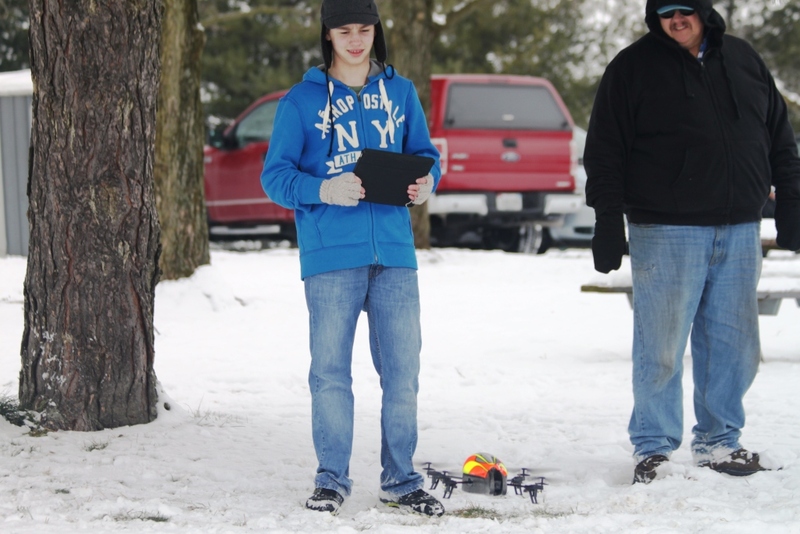 Dillon McBee flying his Christmas gift, a Parrott drone quad copter, he flies it with an Ipad. Brian James starting his Brison 42 powered Decathlon. 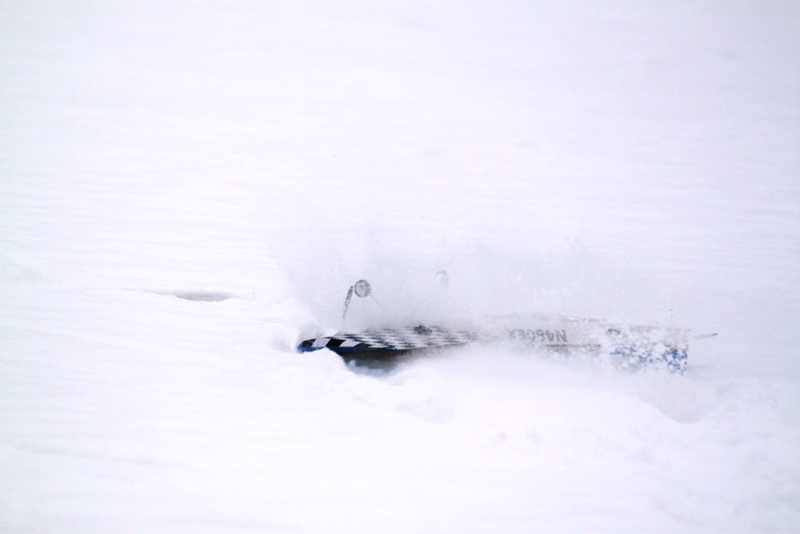 Brian's ski equipped Decathlon and a fly by, very full size looking. + First flight of 2013 at Corsair Field - John Edwards, Electrify PBY Catalina. 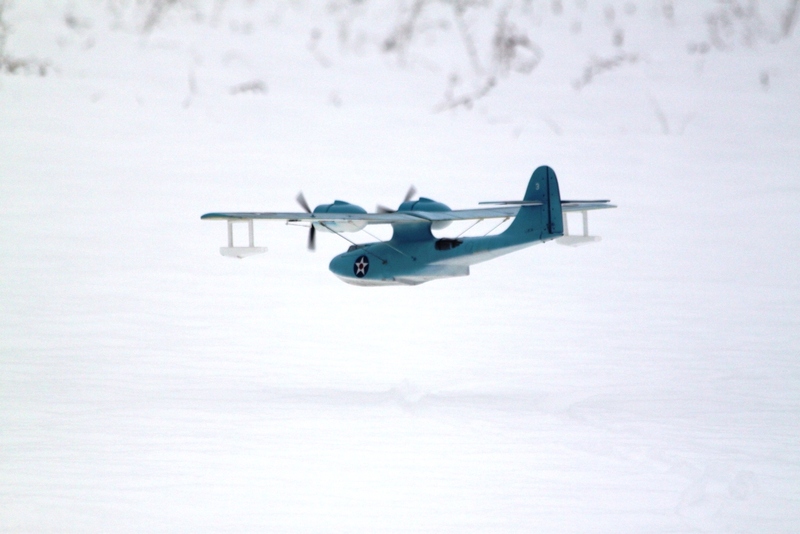 + First mis-hap - John Edwards PBY got a little off kilter on a landing in the snow. + First float equipped flight - John Louden's Nifty 50, John was also kind enough to let several others give float flying a try. 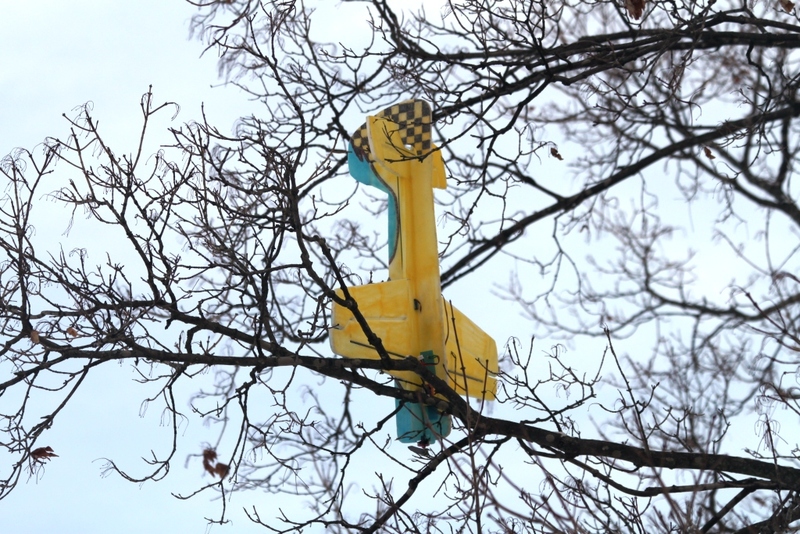 + First plane in a tree - Jay Thomas's flat foam Yak 55. 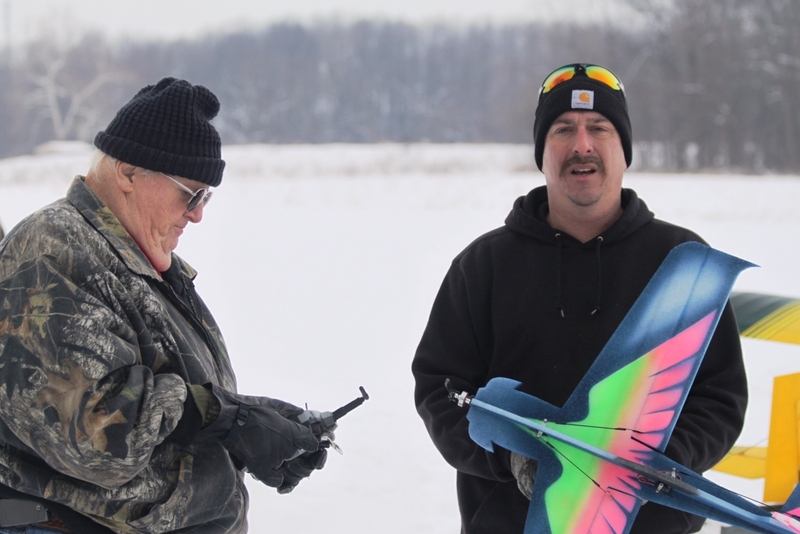 + First father son flying - John and Luke Louden, Nifty 50. Then Tom L and Tom E Hatfield, then Rege and Parker Hall. + First bother combo - Dave Miller, flat Raven EL and Joe Miller, foam PBY Catalina. 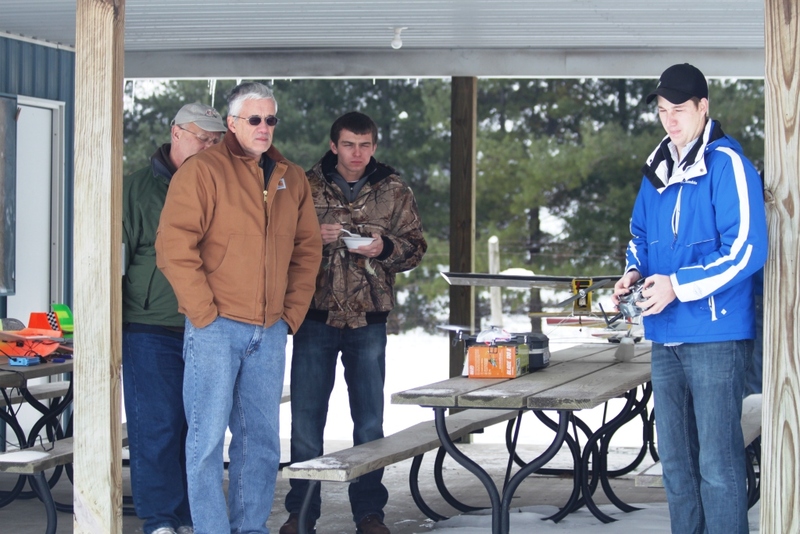 + First family with more than 2 pilots - Ralph McBee, Blake McBee and Dillon McBee. 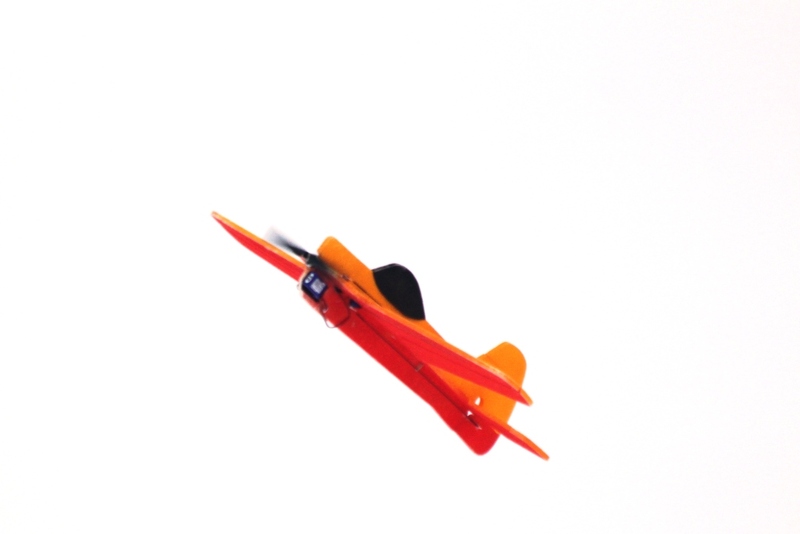 + First flight on a foamy - Jay Thomas, flat Yak 55. 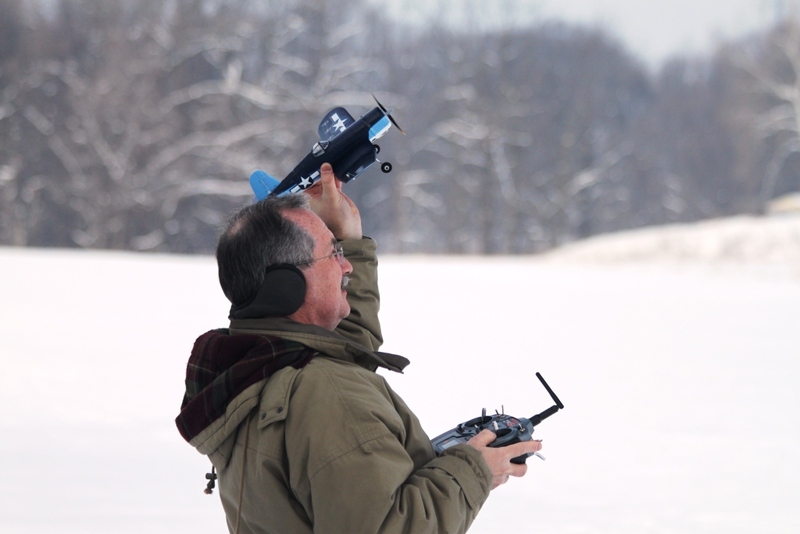 + First Micro plane flight - Tom Carlyle, micro Corsair. + First F-22 flight - Rege Hall, old 24" F-22. 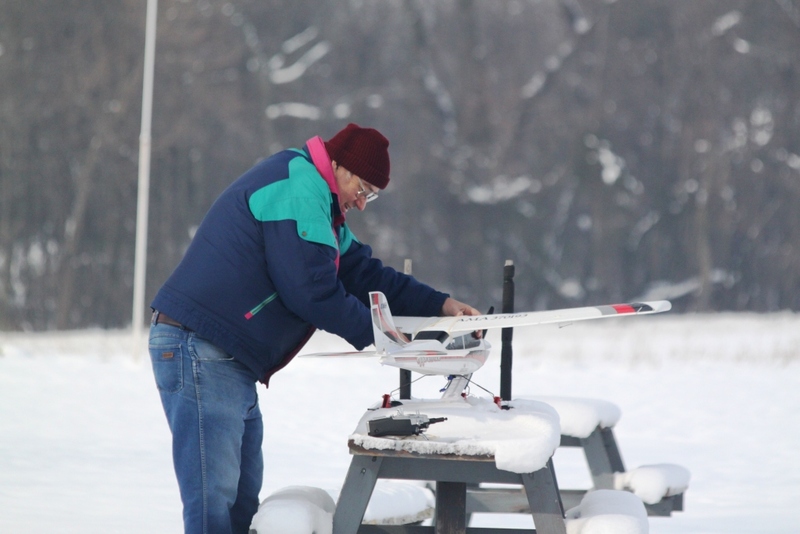 + First repairs at the field - Don Schmedake, radio troubles with his Great Planes Ultra Sport. + First nitro flight - Don Schmedake, Great Planes Ultra Sport, well kinda, never really got to fly due to radio problems. 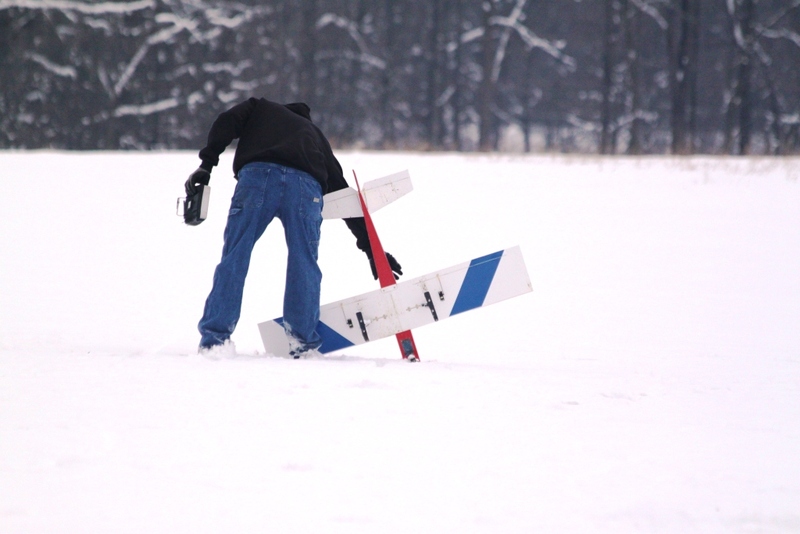 However, since he had the only nitro plane out and spent so much time standing in the snow trying to make it airworthy, we'll give him credit. + First Quad Copter - Parker Hall flying John Louden's micro Blade Quad Copter. + First helicopter flight - Mark Tudor, T-Rex 600E. + First EDF jet flight - Parker Hall, Great Planes micro F-86. 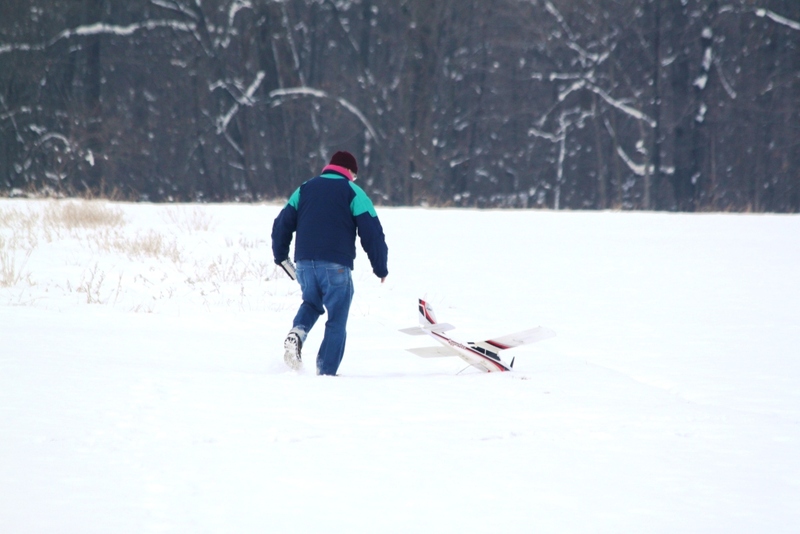 + First gas flight - Brian James, Brison 42 cc, ski equipped Decathlon. 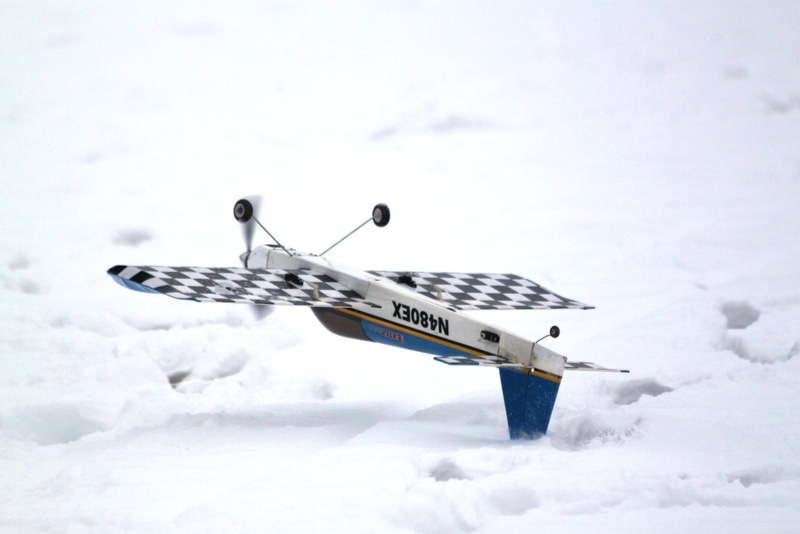 + First inverted landing - Blake McBee, Model Tech Extra 300 EL. 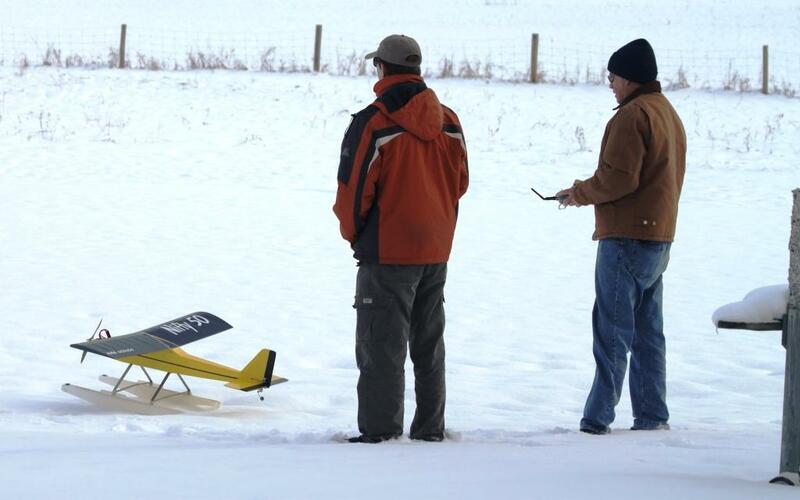 + First flight not using a Tx - Dillon McBee, Parrot Drone using an Ipad. + First intentional tail touch - Matt Shelton, Addiction. 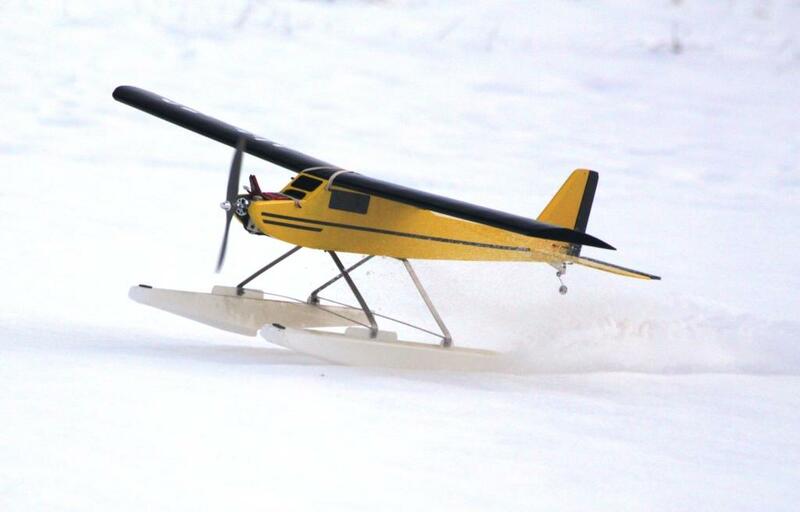 + First flight with tiny skis - Bill Clontz, Advance 25E. Hope everyone enjoyed the day! If I missed a first flight, let me know.